Samuel "Sammie" Luther Smith, Jr.
New Holland – Samuel Luther Smith, Jr. of Wagener, SC passed away at home June 22, 2018. Sammie was born May 2, 1935 to the late Sam Smith and Ruth Berry Smith in Johnston, SC. Sammie was predeceased by son Sandy Smith and brother Walter Smith. He is survived by his wife, Harriette of 59 years and son Daryl Smith (Chris Cribb) of New Holland. He is the grandfather of Victoria L. Smith and Samuel “Sam” B. Smith, and daughter-in-law Linda of Florence. Sammie is also survived by brother Clyde Smith (Ann) of Johnston, sisters Betty Fulbright of Johnston and Martha McGee Beech Island, and sister-in-law Doris Smith of Snead’s Grove, NC. He also has several nieces and nephews. 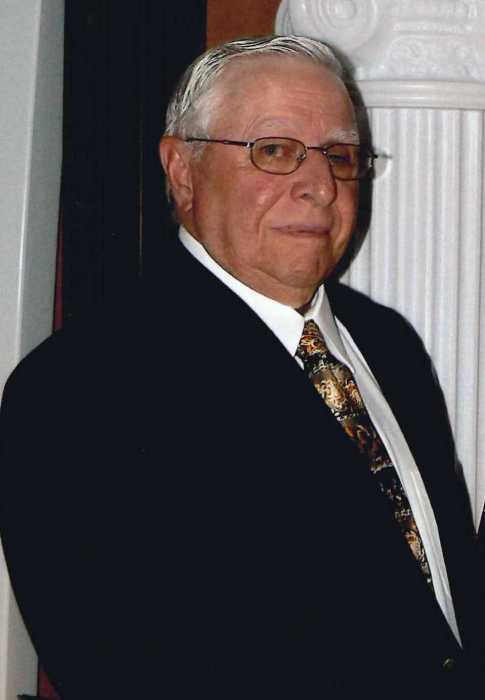 Sammie was a member of New Holland Baptist Church serving as a deacon and chairman of the cemetery committee. He was a veteran of the S. C. National Guard. Sammie began his first career in masonry and became a masonry superintendent at the age of 26. He was also employed by McCrory – Sumwalt of Columbia and Pettit Construction Company, Spartanburg from which he retired. Sammie was involved in constructing the Columbia shopping malls, various schools and even a renovation of Williams – Brice Stadium. Sammie began a new career with Amick Poultry Farms raising breeder chickens for 25 years before retiring a second time. A special thanks to Fran Cooke, Michelle Thompson and Chaplain Reilly Hammond of Medical Services America Hospice. Their love and care was boundless. Visitation is Sunday from 4:00 to 6:00 pm, in the chapel of Blizzard Funeral Home and Cremation Services. A Celebration of Service will be held at 11 am Monday at New Holland Baptist Church with internment in the New Holland Baptist Church Cemetery. In lieu of flowers, contributions may be made to the New Holland Baptist Church fund for new Church columns, at 2279 New Holland Road, Wagener, SC 29164.